'Wish you were here' winners - Orsett Hall Hotel! Every 2 weeks the team here at Guestline choose a star property that stands out from the crowd and crown them our “Wish you were here” winners. 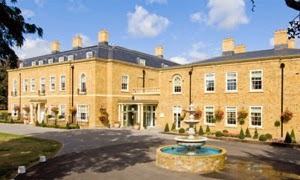 This week we have chosen The Orsett Hall Hotel in Essex! The Orsett Hall Hotel is a stunning 4 star property situated in the beautiful countryside within easy access to the M25. Set in 12 acres of landscaped gardens, the hotel has 41 luxurious bedrooms, 4 bridal suites, a self-contained lodge, chapel, elegant function rooms, on site hair salon, a spa and a gym.